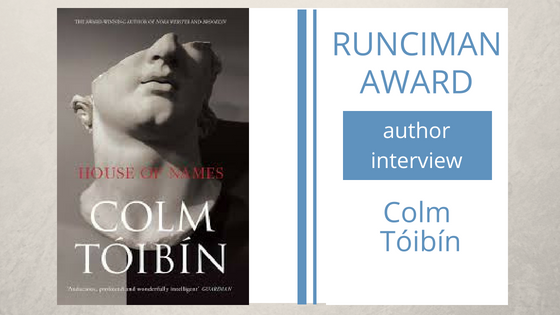 Following the announcement that Matthew Simonton and Colm Tóibín are joint winners of this year’s Runciman Award, we caught up with Mr Tóibín and asked him a few questions about his book, House of Names. Thank you for taking the time to talk to us about House of Names. Can we start by asking how your interest in the Greeks and their gods arose? For many years, I have been reading ‘Medea’, ‘Electra’ and ‘Antigone’ in the various versions and translations. My novel ‘The Blackwater Lightship’ (1999) depended, to some extent, on ‘Electra’ even though it is set in contemporary Ireland. The play and novel ‘The Testament of Mary’, written in various versions between 2011 and 2013, used the idea of relentless in a woman’s voice which was certainly influenced by some of those Greek plays. Did this come from far back in your education or from your reading of the Greek classics in later life? I missed studying Greek by one year, so my interest in the plays and the myths came later. Why do you think so many Irish writers have been inspired by Greek mythology? Ireland has a rich, ancient literature, as does Greece. Ireland also used this idea of ancient glory to build a movement for political independence from Britain. When Lady Gregory, one of the founders of the Abbey Theatre and one of the architects of cultural nationalism at the beginning of the twentieth century, was asked what relationship the Irish spoken by the peasants had to the language of the ancient texts, she replied that it was the same relationship of modern Greek to ancient Greek. Also, in those years, it was important that Greek literature was filled with heroes. In these early years of the twentieth century, W.B. Yeats invoked Greece in his poems and translated the Oedipus plays. Later, when the Troubles in Northern Ireland began, writers became interested in Antigone. Where did your inspiration for this book come from? Where does the spark come from that produces another retelling of a story that is already so familiar? I thought I knew the story because I knew ‘Electra’. But I had never read ‘Iphigenia in Aulis’ and when I did it shocked me to see the story told from a new perspective. Then I became fascinated by the figure of Orestes, but as a sort of modern figure, utterly alienated from the world around him. There was no text to use in the making of him, so I worked with my imagination. Did you travel to Greece to get a sense of place for House of Names, or was the human drama more important than the setting? 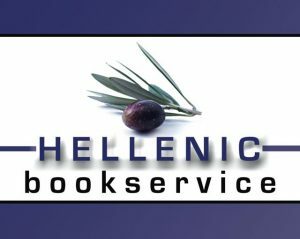 I have been in Greece a number of times, but I didn’t go there to do any research for the book. In House of Names, Clytemnestra is depicted as not flatly disbelieving in the Greek gods but in believing (or saying she believes) that they were in earlier times concerned with men and their doings, but no longer are. Is this a way of conveying how the Irish people have moved away from their traditional religion in our lifetime, without confronting them with that loss of belief in a harsh way? Yes, that was one inspiration. It has happened in my lifetime in Ireland. I was also thinking about the power of the gods waning in Wagner’s ‘The Ring’. May we ask what you are working on now? I have just finished a version of ‘Antigone’, written as a monologue for her sister Ismene. And I am working on a novel set in the first half of the twentieth century.